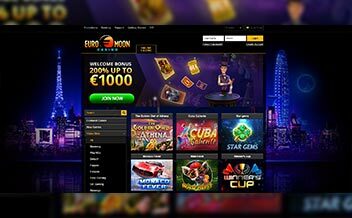 Euromoon Casino first went online in 2015 is under the management of Game Tech Group. The casino has been powered by the likes of NextGen and Amaya Company. Euromoon has been licensed under the government of Curacao. 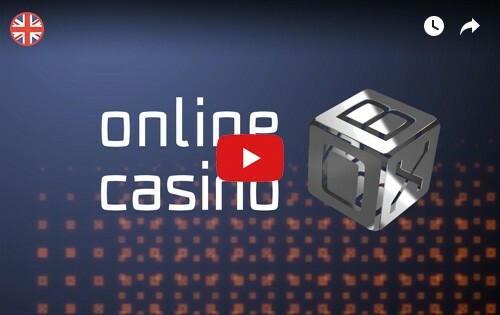 The casino offers players a good casino experience by ensuring that they enjoy an actual casino while at home by providing a live casino feature. The casino also provides a live chat and email address for customer support. 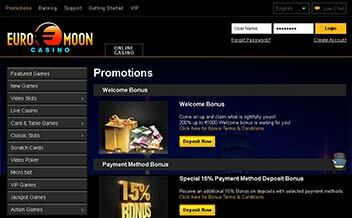 New players who choose to open an account with the Euromoon casino get to enjoy a 200% welcome bonus for up to €1000. This bonus may be attractive, but it comes with a wagering requirement of 33x which should be met before making any withdrawals. The minimum deposit required is €20 to trigger the bonus, and the maximum bet allowed for a single play is 30% of the bonus amount. The casino also offers players an entertainment platform by providing over 200 online slot games. There are video slots which include Sevens and Fruits, Space Battle and Legacy of Egypt among others. There are also classic slots like Horse Racing, Lucky Fruits, and Cash Machine among others. The table games found at Euromoon Casino are by far the best in the casino business. They have amazing graphics across all casino platforms. They include Roulette Premium, Roulette Pro, Zero Spin Roulette and Neon Roulette among others. 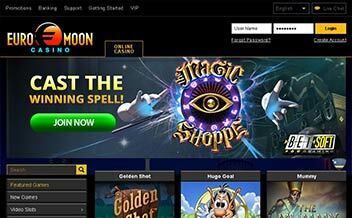 The casino feature at Euromoon Casino also offers players an opportunity to experience the actual casino at home. The dealers get to explain the rules of the game as the gamers game. The live casino titles include different variations of Live Baccarat, Live Blackjack, and Live Roulette. The casino has been powered by major gaming providers like NetEnt, Amaya, ThunderKick, NextGen, BetSoft, 1×2 Gaming and Novomatic among others. The casino is accessible in instant mode only. 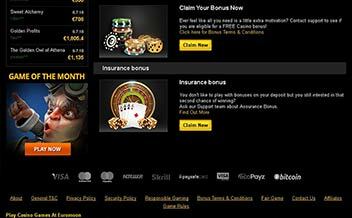 The main casino website has a user-friendly interface guaranteeing every player smooth gaming experience. The casino’s web page will give you welcoming feeling with a blue Eiffel Tower image on the background. The casino games are accessible on major web browsers like Google Chrome, Mozilla and Opera Mini among others. You do not need to download an app to access the casino games as the casino is accessible on the main website of the casino, you just have to open an account by following a small procedure and start gaming instantly. The casino states that players from The United Kingdom are allowed to play at this casino, but that is not true as the casino has not even been licensed under The UK Government. But in overall it is a casino worth checking out.